The overflow of information generated during disasters can be as paralyzing to humanitarian response as the lack of information. This flash flood of information―social media, satellite imagery and more―is often referred to as Big Data. Making sense of this data deluge during disasters is proving an impossible challenge for traditional humanitarian organizations, which explains why they’re turning to Digital Humanitarians. Who exactly are these Digital Humanitarians and how do they make sense of Big Data? Digital Humanitarians: How Big Data Is Changing the Face of Humanitarian Response answers this question. Digital Humanitarians are you, me, all of us―volunteers, students and professionals from the world over and from all walks of life. What do they share in common? They desire to make a difference, and they do by rapidly mobilizing online in collaboration with international humanitarian organizations. In virtually real-time, they make sense of vast volumes of social media, SMS and imagery captured from satellites and UAVs to support relief efforts worldwide. How? They craft and leverage ingenious crowdsourcing solutions with trail-blazing insights from artificial intelligence. 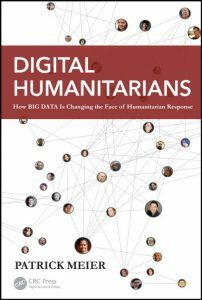 This book charts the sudden and spectacular rise of Digital Humanitarians by sharing their remarkable, real-life stories, highlighting how their humanity coupled with innovative solutions to Big Data is changing humanitarian response forever. Digital Humanitarians will make you think differently about what it means to be humanitarian and will invite you to join the journey online.